* Orders over $700 receive 1 candle. 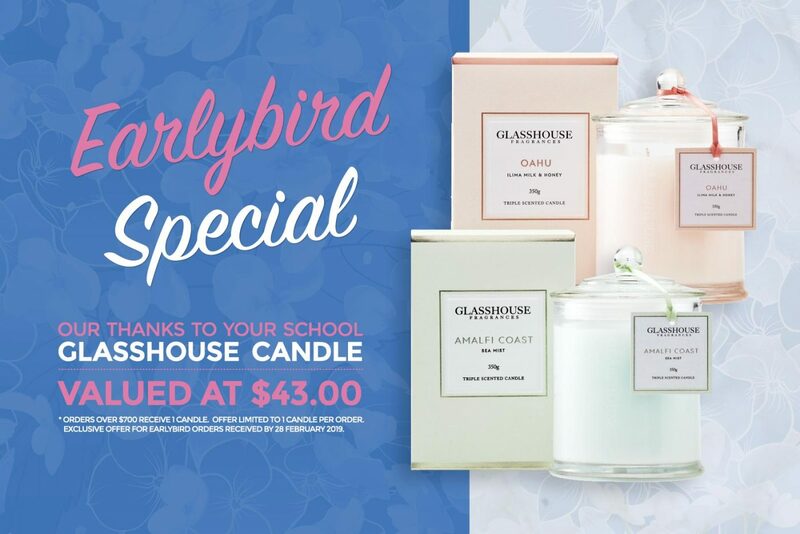 Offer limited to 1 candle per order. Exclusive offer for Earlybird orders received by 28 February 2019.